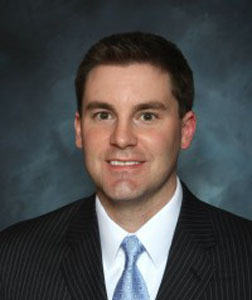 Mr. Ness joined Carpenter & Company in 2012 and is a Senior Vice President. He is responsible for completing regular financial evaluations of the Fund’s portfolio banks and performing ad hoc analyses pertaining to the banking industry. In addition, Mr. Ness is a member of the Fund’s investment team, assisting with the analysis of potential investment opportunities. Prior to joining Carpenter & Company, Mr. Ness worked for community banks for 11 years. He was a Vice President and SBA Underwriter for Fullerton Community Bank, where he performed credit and financial analyses. He also worked as an Internal Bank Auditor for Dacotah Bank in Aberdeen, South Dakota, conducting operational audits of the bank’s divisions and branches. Mr. Ness obtained a Bachelor of Science degree in Finance from Northern State University in Aberdeen, South Dakota. He earned a Master of Business Administration at the Paul Merage School of Business at the University of California, Irvine. In addition, he holds the Chartered Financial Analyst (CFA) designation.